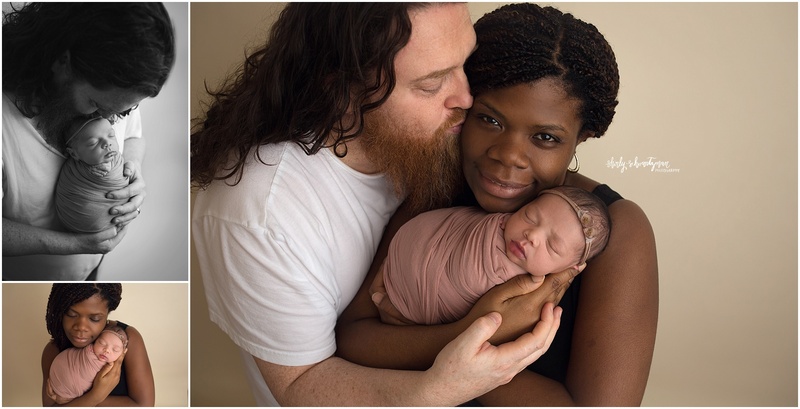 When it comes to choosing a newborn photographer in NYC, or anywhere for that matter, there are a few things you should check and ask yourself before making a final decision on who to hire. Portfolio: Take some time and look through galleries and recent work and FB page. Make sure the images you see are compatible with your personal style and aesthetics. Look at the colors, props and styling used to make sure it is something that you can envision displayed in your home and proud to show off. Testimonials & Reviews: This will help you get an idea of the photographer’s demeanor and customer service. You want to make sure past clients are happy and mention how the photographer took great care of their new precious life. Meeting turn around times, and final quality of the images are also important factors to check. Experience: To me, this is one of the most important factors to consider. You want to make sure the photographer has a good understanding on newborn posing, lighting, equipment and has had training for this. Newborn safety should also be one of their priorities. They should also know all the special tricks to sooth and comfort your baby so they are relaxed and comfortable during the whole session. Investment: I know this is one of the most important factors clients look for when searching for a newborn photographer. Many families are on a budget and sometimes will sacrifice the points mentioned above (quality, reviews and experience) for a better deal. Please remember these will be images you will treasure for a lifetime. You are hiring someone that should have the proper training, equipment and background on how to handle your brand new baby. All these things add up and are a part of what this investment covers. Asking for a newborn session as part of your baby registry is also a great idea! Your baby will only be this little for a short period of time, so make sure you choose wisely who you want to capture this special time in your family’s life!